The day is dedicated to the Prophet and his teachings. As a tradition, parents tell stories of the Prophet's life to their children. The event is also marked by public gatherings and processions, where people make speeches on the life of the Prophet. In addition to this, songs are sung in praise of the Prophet. In some places, people also light lamps, and decorate mosques and their homes. 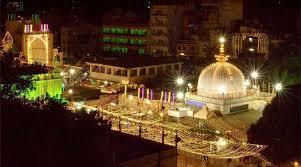 India is noted for its Eid-e-Milad-un-nabi festivities. The relics of the Prophet are displayed in Jammu and Kashmir's Hazratbal Shrine, where night-long prayers are also held every year.